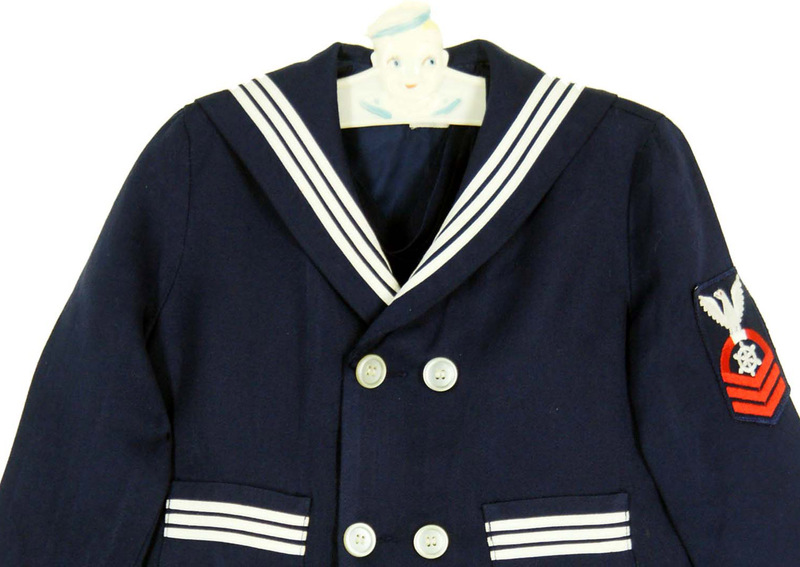 This sailor suit is a genuine vintage suit from the 1940s. It is not a reproduction.. The navy rayon double breasted jacket is fully lined and buttons to either side to be worn by a boy or a girl. The sailor collar and cuffs are accented with a triple row of white braid, with a nautical insignia on the left sleeve. 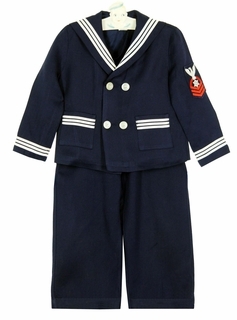 The suspendered pants are elasticized at the back waist. Please note that vintage sizes run small. Please order by measurements rather than sizes.